Aging has begun to rob your skin of the natural moisture that it needs to remain supple and healthy. The serums and moisturizers you use in your daily skincare regimen aren’t enough. Restylane Skinboosters to the rescue! Restylane Skinboosters is a unique treatment that stimulates the fibroblasts, causing a dramatic increase in the production of elastin, collagen and hyaluronic acid — the three elements of your skin that are vital in keeping your skin youthful and radiant. Known as hydrolifting and hydrofilling, this fast micro-injection treatment will noticeably rejuvenate your skin, causing lines to disappear and that pleasant plumpness you once had in your younger days to return. The effects are impressive! According to a study published in the journal, Archives of Plastic Surgery, Restylane Skinboosters received great scores in the improvement of roughness, elasticity, brightness, and outstanding scores for the improvement of skin moisture levels and fine wrinkles. Restylane Skinboosters is available in two types: Vital and Vital Light. Vital is designed to restore overall hydration in your skin, giving you a plumper, smoother complexion. Vital is usually used on the face, backs of the hands and some parts of the body. Vital Light is designed for the more delicate skin of areas like your neck and décolleté. Vital Light may also be more suitable for younger patients seeking more subtle improvement. The Restylane Skinboosters treatment involves making a number of micro-injections deep into the skin of the target area with a tiny needle. The procedure takes about 10-15 minutes. After the procedure is finished, you’ll probably have some swelling, bruising and tenderness. To control these side effects, it’s best to avoid such things as extreme temperatures, swimming, going into hot tubs, excessive sun exposure and drinking alcohol. This may last for a couple of days. You’ll need to avoid using makeup for about 24 hours afterward to minimize the risk of infection. You’ll notice your results gradually appear in the weeks following the procedure. A series of 3 treatments, each spaced about 4 weeks apart, is required to achieve optimal results. After your treatments, your results will most likely last about 6 months, after which a single maintenance session may be recommended. With repeated treatments, you’ll notice your results last even longer. 1. How long is the treatment? Each procedure takes about 10-15 minutes and you’ll need a series of 3. 2. Who can get Skinboosters? 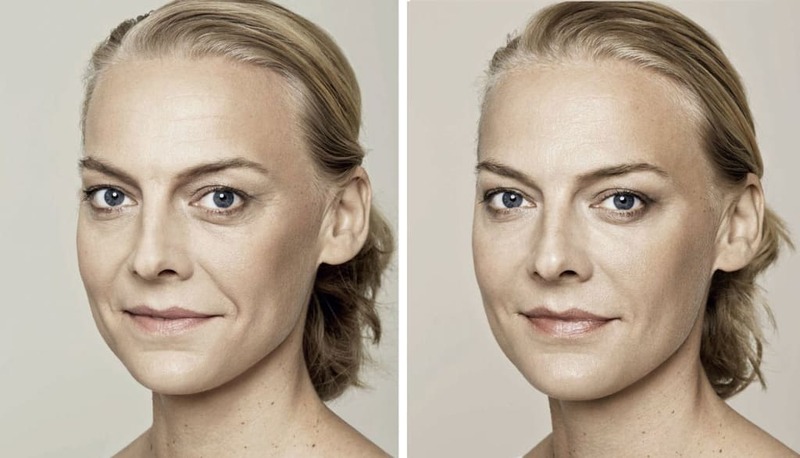 Male or female patients of any skin type can receive Restylane Skinboosters. Age is not an issue. 3. How long do the Skinboosters results Last? Usually, you can expect results to last about 6 months. Repeated treatments can achieve longer lasting results. The injections are generally well received by patients. Numbing cream can be applied beforehand to minimize discomfort. 5. What are the risks and side effects? Swelling, redness, tenderness and bruising are common side effects that are temporary. These generally subside within a week.